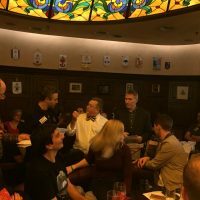 Eeek, 2017 is over soon and I have one more post about the Agile Testing Days 2017 conference! Yes, it has been quite a few weeks ago now, but like most of you, the combination of work, side projects and holiday merriment have meant a lack of blogging time. I’m just going to squeak this in! After our last 7 am walk and Lean Coffee of ATD 2017, we had a really different kind of keynote to kick off the last conference day. Roya Mahboob was the first women CEO of a tech company in Afghanistan. 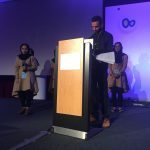 She shared her story of overcoming obstacles such as no schooling at all for girls in the Taliban years to being able to employ and train many women in the tech industry. I live tweeted her keynote, her message blew me away. As she said, change starts with 1 woman, 1 girl, 1 dream, 1 computer. She is changing the world one step at a time. To paraphrase, “The answer to the world’s problems could be in the minds of women who previously had no chance to even have a dream.” Roya is helping them take their rightful place in society. Afghan Girls Robotics Team member speaking, with translator at podium. 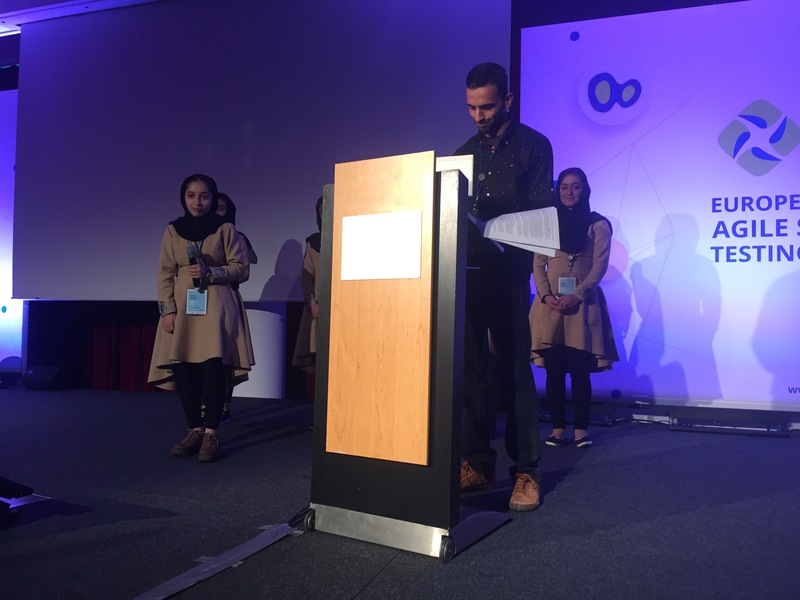 Roya was followed by one of the members of the Afghan Girls Robotics Team. 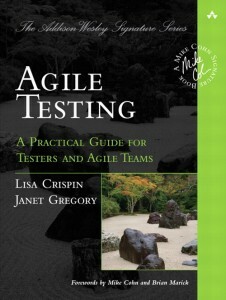 Agile Testing Days and the agile testing community gave generously to fund the team’s participation in the conference. I don’t know the name of the young woman who spoke, but she had so much courage. She spoke clearly and unwaveringly without notes in her native language, as a fellow translated her words to English. I live tweeted that too, but I didn’t have a unique hashtag for this speaker so it’s hard to give you a link. As Roya had also described, she talked of the many obstacles for girls interested in the robotics team, with family often against the idea. She told the story of how the team was ready to head to the U.S. for a competition, but their visa was denied. She compared it to climbing a mountain, only to be denied the chance to stand on the peak. But they finally got their visa, and got a second prize at the competition. She spoke of how proud everyone was back at home. For her, the IT industry in Afghanistan is a tiny bud, and she wants to see it grow into a great tree. She finished by describing how supportive her own father was, and how he was tragically killed by Isis just a few days after the team returned home. Yes, we were all in tears by this point. Several other team members said a few words, some in excellent English. These girls seemed so quiet and unassuming throughout the conference, but they showed their courage here, as well as in their competitive triumphs. Roya Mahboob has helped over 10,000 women, and it looks like she has started something that may now grow exponentially. Art auctioned for a good cause! 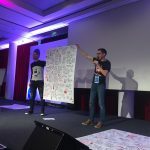 At today’s keynotes, Stuart Young auctioned off his amazing live sketches of the Agile Testing Days keynotes to raise money for Linnea Nordström’s experimental cancer treatment. Not only will this help a courageous young girl, but everyone who will benefit from the research and experimentation underway. I was outbid on my attempts. Oh well, all to a good cause! As usual it was hard to pick a track session. I liked the idea of “Take ATD to Work” with Eddy Bruin and Wim Heemskerk. 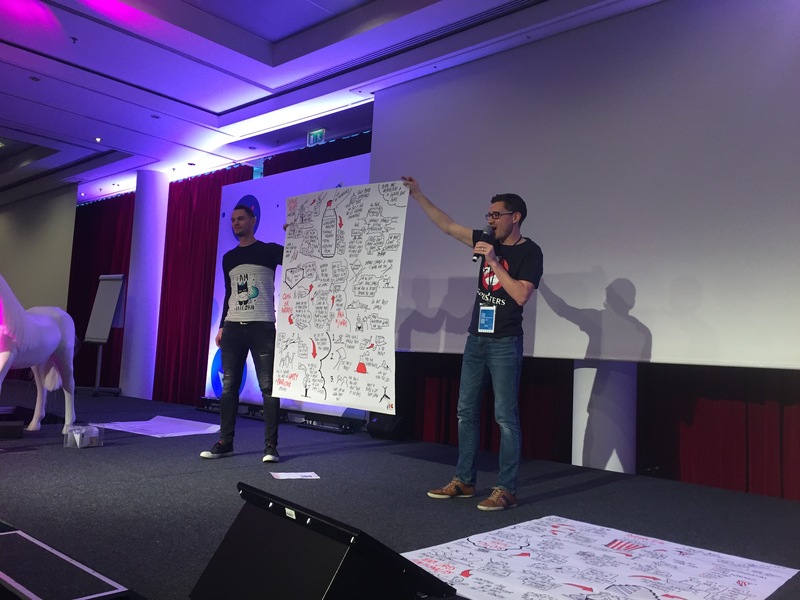 We learn so much new stuff at conferences, but how do we apply it back at our real jobs? Eddy and Wim showed us through example how we can use the 4 Cs of Sharon Bowman’s Training from the Back of the Room to design our own workshops and share what we learned. 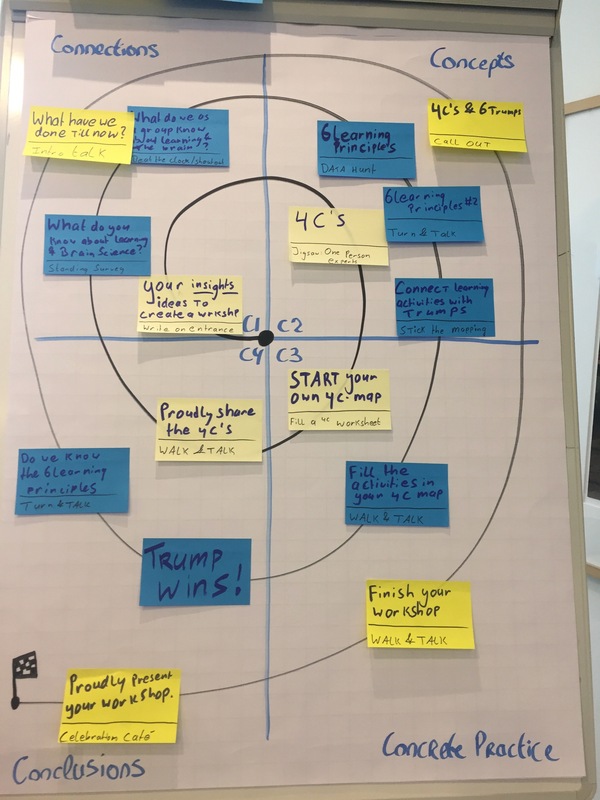 It was fun to work in groups with other conference participants and help each other learn the basics of the 4 Cs and come up with workshop exercise ideas. I’ve used the TFBR approach for several years, it’s the best way I’ve found to help participants learn. I regret that I haven’t had a chance to do the exact workshop I planned in this session, but I’m still using the new ideas I picked up. I enjoyed a serendipitous lunch with Hilary Ridley and Gáspár Nagy (and someone else – now I’ve forgotten! Janet, maybe? Guna Pertrova? I needed sketch notes of lunchtime, too.) 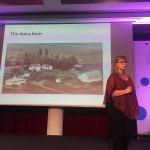 I had really looked forward to Maaret Pyhäjärvhi’s keynote, and she delivered! I love her monikers for herself: Feedback Fairy, Polyglot Programmer. 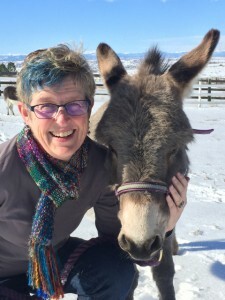 Maaret has such a sense of fun and that’s so key to helping us learn. She talked about how individual contributors can make things move without energy – just like osmosis. Promoting collaboration is an effective way to do this, with activities like mob programming that let you get the best from the whole team. She emphasized the safety required for this to work. Maaret told how her team moved so fast with mobbing that individuals fall way behind. She noted that she could have great ideas without needing to know how to write the code – that’s one of the beautiful things about mobbing. I loved hearing how Maaret taught her daughter’s school class how to code. Kids really want to code when they see their friends doing it! Maaret noted that programming is like writing – it takes years to master. I’ve heard that metaphor from Jonathan Rasmussen as well – it’s a great way to think about good coding practices. Being intentional about learning can also cause accidental learning, and we can always learn more! Discomfort leads to change, and learning. Experts don’t know the most, they just learn the fastest. 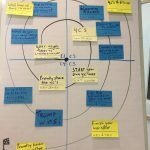 Several sessions at both Agile Testing Days and at BDD Exchange the previous week talked about change. We can have change through revolution, or we can have tiny, unnoticeable changes that add up to big changes over time. I’m going for those tiny, incremental changes. Between keynotes on this last day we had Open Space, which I was eager to join. However, I got subsumed into other conversations and meetings that needed to happen before the conference was over. I only had time to eavesdrop on a couple of open space discussions. A smaller but highly enthusiastic crowd stayed around for Janet Gregory’s keynote. Janet wins for staying cool under pressure – the conference A/V system went nuts and it took them quite a few minutes to get her slides to show – despite everything working fine right before the keynote. Ah, the life of a tester. 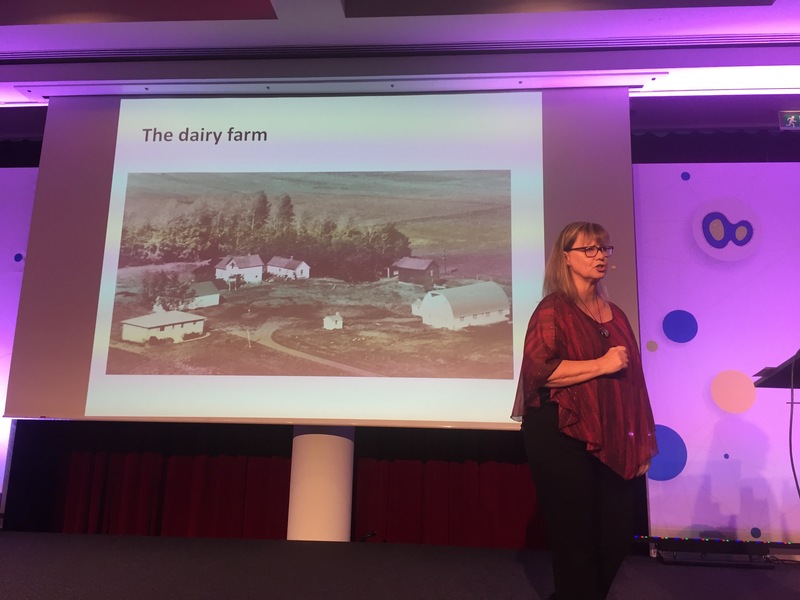 Janet told her life story, starting on her family’s dairy farm in Alberta, with 24 cows, 3 cats and 3 dogs (Janet could say all that in Swedish). She worked hard on the farm and in school, though she was quiet and wasn’t the kid raising her hand in class. To support her own daughter’s desire to participate in gymnastics, Janet jumped in as a volunteer and, with other volunteers, kept the gym club going. Her takeaway – Get support, don’t be afraid to try! Living in far-off countries for her husband’s work meant Janet had to learn to be independent. When they got back to Canada, she went back to school as a “mature” student to get her CS degree and her first job. Her advice: Know your strengths. How can you use them? 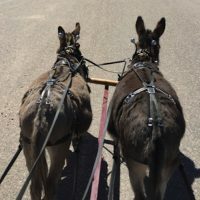 Janet enjoyed mentoring from a helpful manager, but then an encounter with a bad manager made her realize the importance of your workplace matching your ethics. Another challenge emerged at a daughter’s wedding: she froze up and couldn’t make her intended speech. 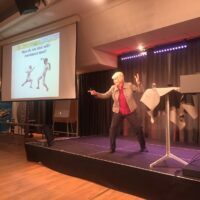 She joined Toastmasters, which would help lead to her successful speaking career. Remember to breathe! And don’t be afraid to share your failures. Janet explained how she and I met thanks to Brian Marick, and she helped with the book Tip House and I wrote in 2000-2001, Testing Extreme Programming. We both attended XP conferences, and started presenting and writing together, eventually collaborating on Agile Testing. Co-writing a book opened more doors to Janet, who became a full time consultant and coach, traveling the world, building new relationships. She developed a three day training course with me, and we later wrote a second book and a video course. 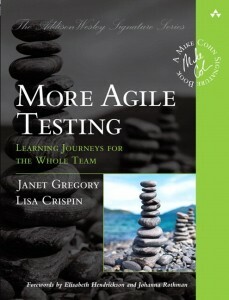 Her peers recognized her leadership with the Most Influential Agile Testing Professional Person award. Wow, when I write all that in one paragraph, those are a lot of accomplishments! Janet learned to be fearless. She quoted a speaker from a recent conference (was it Fiona Charles? ), ask yourself: who’s in your front row? Janet urged us to watch for pivotal moments, respond to them. Be true to who you are. That was a wonderful message to wrap up Agile Testing Days 2017! “So long” is so hard! 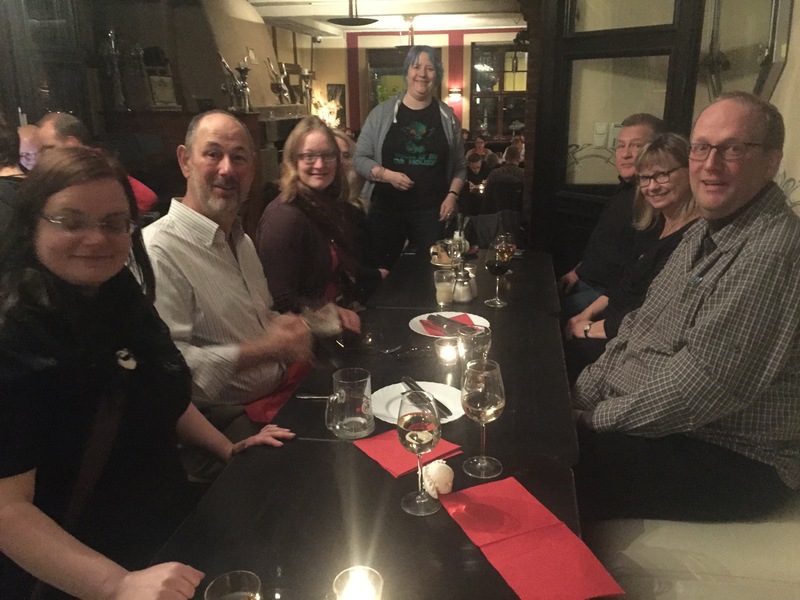 Luckily, lots of my old and new friends were staying one more night, so we had a big crowd to go to dinner. I’m afraid I was kind of a b***h and said we should split up – it can be miserable organizing a large group and getting a table. We had to get up at about 3:00 am so we needed an early night. I think Mike Talks or someone else in one of the dinner groups later referred to this as the “A” and “B” groups, but I can assure you these were both A+++ groups! 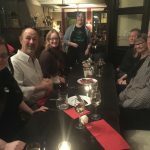 We had a wonderful last dinner at one of our favorite Potsdam restaurants, Valhalla. Guna and I went and “haunted” the other dinner group who were down the block at one of our other favorite places, by plastering our noses against the window by their table! I miss all of these people so much right now! 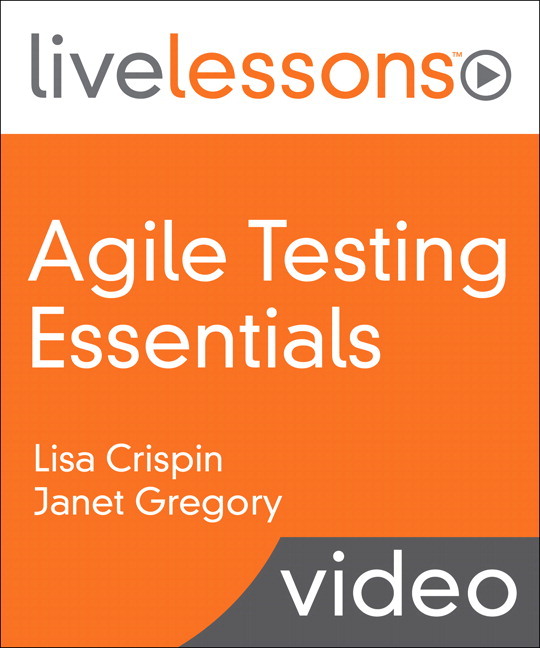 I can hardly wait for Agile Testing Days USA and Agile Testing Days 2018.